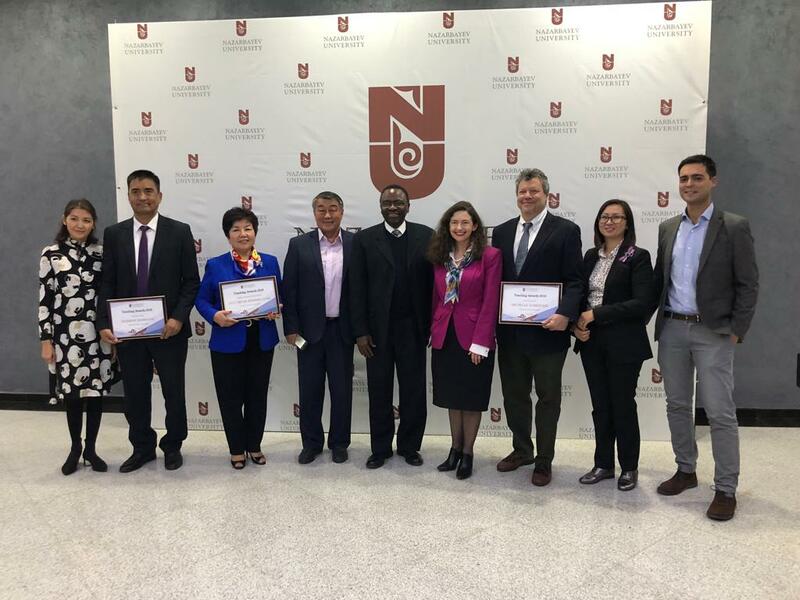 The best professors of Nazarbayev University were recognised and awarded on 21 September 2018 during an annual ceremony. Among them there are our GSE professors Duishon Shamatov (Innovative Teaching award), Sulushash Kerimkulova (Academic Integrity award) and Michelle Somerton (Inclusive Teaching award). In addition, assistant professors Daniel Torrano and Aliya Kuzhabekova have been promoted to Associate Professors. We congratulate our colleagues on this recognition of their hard and fruitful work!